Today in Masonic History George Thomas Anderson is born in 1824. George Thomas Anderson was an American soldier and Confederate general. Anderson was born on February 3rd, 1824 in Covington, Georgia. He attended Emory University. Later he would join the Army and become part of the Georgia Calvary as a second lieutenant. With the Georgia Calvary he served during the Mexican-American war. In 1848 Anderson was promoted to the rank of Major General. He served with the 11th Division of the Georgia Militia. He served with the militia for two years at that rank. In 1855, Anderson received a commission in the United States Army. He was commissioned as a captain. He served with the 1st U.S. Calvary until 1858 when he resigned his commission. 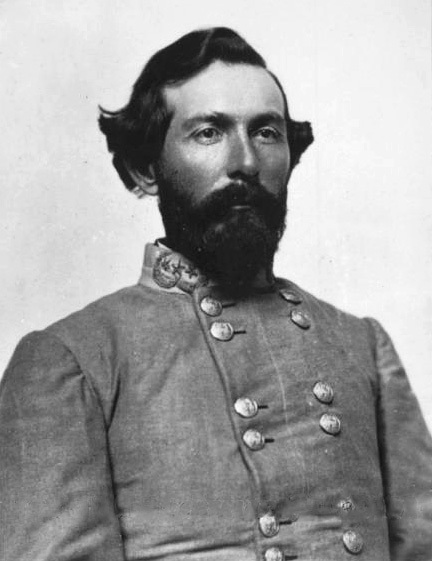 When the Civil War broke out, Anderson joined the Confederate Army to help defend his home state of Georgia. He was given a commissions as a colonel in the 11th Georgia infantry regiment. He served much of his time with the 11th Georgia infantry in and around Virginia. Leading his brigade into various battles. Anderson's unit joined the Army of Northern Virginia just in time for the Battle of Gettysburg. At the Battle of Gettysburg he fought around the Devil's Den and the Wheatfield. It was at the Wheatfield that Anderson engaged the 17th Maine with his unit. Anderson was wounded during the Battle of Gettysburg. He was sent to Charleston to recuperate from his wounds. After recuperating in Charleston, Anderson re-joined his unit for the remainder of the Civil War. Anderson was with Lee when he surrendered at the Appomattox Courthouse in 1865. After the war Anderson became a railroad agent and police chief of Atlanta, Georgia. He would later move to Anniston, Alabama to become the police chief there. Anderson passed away on April 4th, 1901. Anderson was a member of Golden Fleece Lodge No. 7 (now Golden Fleece No. 6) in Covington, Georgia. He was also Right Eminent Grand Commander of the Grand Commandery of Knights Templar(York Rite) of Georgia in 1875.